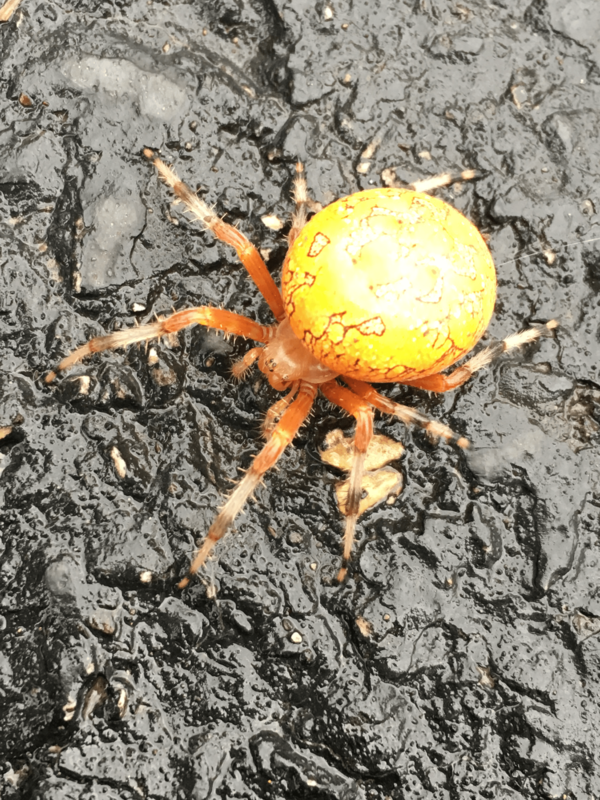 Yes, she’s a marbled orbweaver, Araneus marmorous. Nice photo of her face. She should be about to lay her eggs and protect them in an egg sack. Sorry, I had a typo in the name, she’s Araneus marmoreus.